Two days before the start of the 2018 Hardrock 100, Jason Koop, Hillary Allen, Lucy Bartholomew, Brandon Stapanowich, Fernando De Samaniego Steta, Dakota Jones, and I trotted up to the base of Little Giant. In the event’s clockwise direction, Little Giant represents the course’s final major climb. All but Dakota, who had just joined for the last few miles of the day, had been averaging roughly 30 miles per day since Monday as we attempted to run the Hardrock course in three days. Okay, technically we skipped a few miles in the beginning and took a detour out of Ouray due to some trail closures in the Bear Creek drainage, but for the most part, our ‘softrock,’ as they call it, was pretty legit. 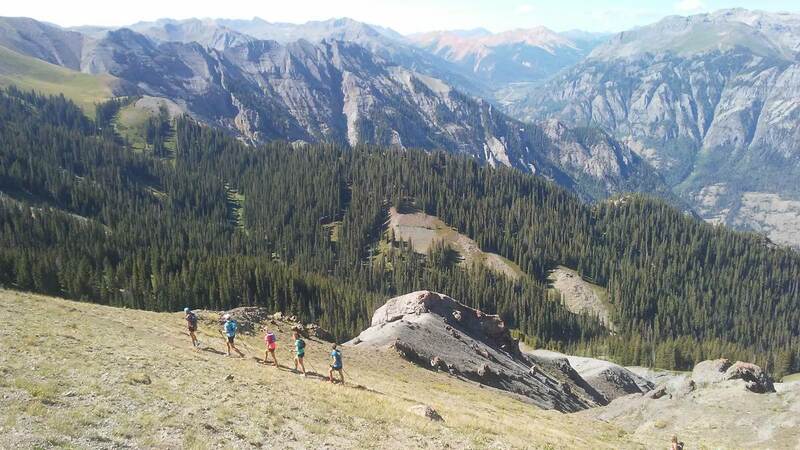 Now Wednesday, our bodies, minds, and legs were feeling the toll of the many miles and thousands of feet of vertical that they had accumulated over the past few days. As we neared the base of the climb, Jason Koop egged me on to make a hard push up this final climb of the infamous 100-mile circuit. Climbing less than 3,000 feet in about two-and-half miles, the climb isn’t the biggest of the course, but a pretty massive punch to the gut when it comes so close to the finish. Having pushed hard up and down countless climbs and descents for the past several days, my mind was doubtful of my tired body’s ability to do one more (fast) climb. But, as Koop poked and prodded, he sparked a fire that my competitive spirit couldn’t resist. And just like that, I was tearing into the climb, somehow willing my body to push harder than it had all week. The first few switchbacks were somewhat controlled, but as I climbed higher, so did the intensity of my effort level. I pumped my arms, drove my legs, and made all sorts of funny noises as I pushed for the top. Upon reaching it, I felt a great sense of accomplishment. Not just because of the time, which I didn’t even know for certain for I never started my stopwatch and therefore only new a rough estimate of it based on the time of day, but also because of the depths to which I was able to push myself. And that being with so much mileage and vert already in my body. Looking back at the nearly 100-mile journey through the San Juan Mountains that week, I can easily say that not every moment was as strong as that final climb of the journey. Sure, there were certainly parts that felt similar, like my ascent and descent of Handies Peak or my climb to the top of Virginius Pass, and yet, there were also many times when I felt quite the opposite. Moments when my body simply did not want to push hard or move with any kind of speed. 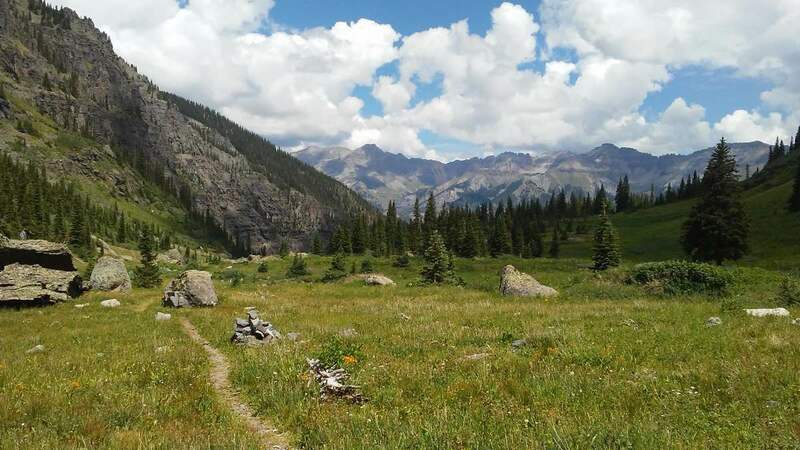 Like the high-alpine traverse from the Horsethief Trail detour to the top of Engineer Pass or the climb to the top of Pole Creek-Maggie Gulch Pass. These times were hard. They were the instances when I felt I was moving oh-so-poorly, moments of lead-leg grinding and labored breathing. It was both frustrating and mentally defeating to feel so crummy. Not that I wasn’t doing my ‘job,’ but rather that I felt that I wasn’t doing it well. For me, this is the worst. When I do things, I like to do them well. This is not to say that I always do them well. I don’t, but when I miss my mark or I’m off my game, it bugs me. It’s like that old saying that if it’s worth doing, it’s worth doing right. It sounds so simple. If something is worthwhile, then dedicate the time and effort needed to make it happen. Unfortunately, what is easy to say is not always easy to do. Oftentimes I think this problem arises when we get overworked, overloaded, and/or overwhelmed. It’s in the moments that we have too much on our plate or too many balls in the air to feel capable of doing it all well. Perhaps we catch the blue ball with great finesse, but the red one hits us square in the face and the yellow one gets thrown halfway across the room. Other times, they are expertly juggled for a bit until we grow weary and tired and they all come crashing down. As glorious as the juggling act may be, it is nearly always but a few moments away from collapsing. I believe the solution to this issue is fairly simple: balance. If we can find a way to take on a workload that is within our means, then we can manage and execute our daily tasks in an adequate manner. Unfortunately, life does not always allow for such luxuries. Sure, we can do our best to regulate our lives, but no matter how organized and selective we are, life is bound to throw us a time of excess. 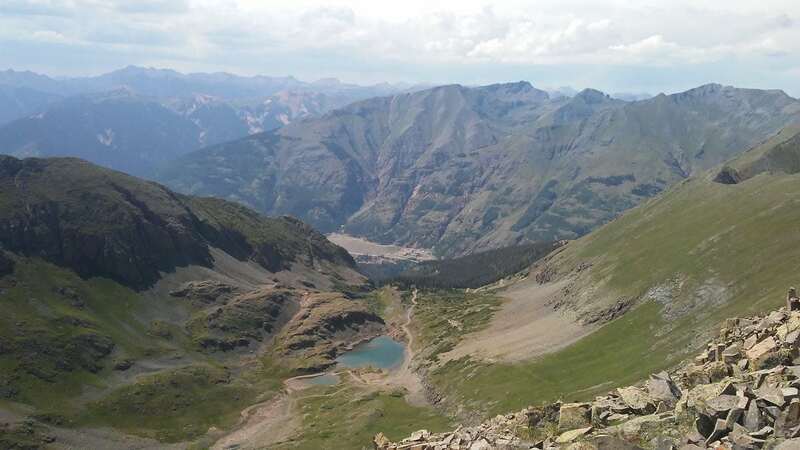 To put it in running terms, sometimes life is more like a 100-mile race through the San Juan Mountains than it is an easy jaunt around the block. It can be a thing of excess, something that takes us to our limit of mental, emotional, and physical exertion. And yet, there is hope. The hope comes in the fact that in the midst of the chaos, stress, and fatigue, there is an option to buckle down and give it your best shot. It’s like my climb up Little Giant at the end of our ‘softrock.’ With roughly 30,000 feet of climbing and 83-ish miles (our route was a tad different from the normal route) already in my legs, I felt that my plate was quite full and I doubted my ability to climb fast. Yet, with a bit of prodding, I was able to put the hammer down and get something out of myself that I wasn’t sure I had. This is not to say that I think we should live lives of constant chaos. What I am saying is that trying times are bound to happen. They are part of life and unavoidable really. But we must not shy away from them. Instead, we must stare those little (or big) giants in the eye and take them on with all we’ve got. For if we lay down, they will almost certainly beat us, but if we lay the hammer down and fight back, we just might end up on top, all 2,500 feet of it. When in life most recently have you engaged in ‘hammer time,’ to use Zach’s phrasing? Where life challenges you with something extra and you successfully rose to the challenge? And how about in running? Alternately, when was the last time you realized it was not the right time to ‘hammer,’ either in your running or in life? 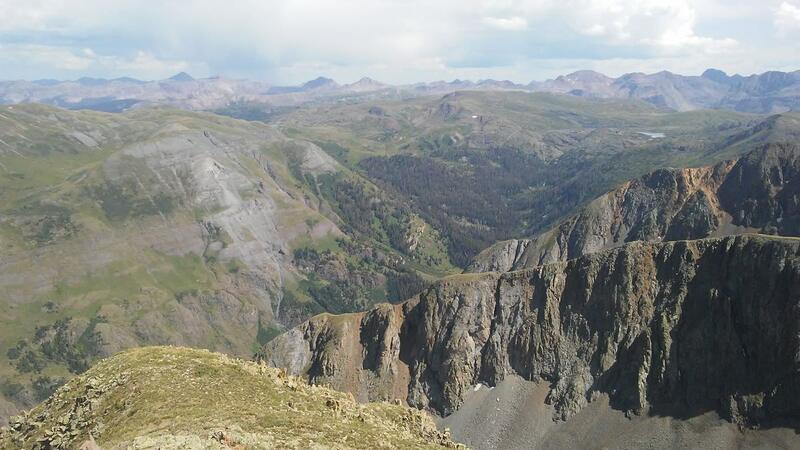 Few days ago I finished Colorado Trail through-hike. I planned to do it for sheer love of a combination being in the mountains, having an adventure, and overcoming difficulties in a way normal life doesn’t present it. 15 days of hiking 30+ miles/14 hrs daily, setting camp, cooking meal, trying to catch precious minutes of sleep (which I don’t do well), then getting up, breaking camp, and repeating the process…nobody to talk to, no help, no goal…There was a reward at the end, unexpected. But after all, the reward was in a process itself. In that very “overcoming”. Buckling down. may be not hammering as we see it in running, but hammering in the mind strength. It was a beautiful (and scary at times) suffering. 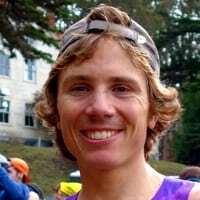 Thanks for the inspiration Zachary, I appreciate how your writing always touches on areas beyond simple running and sport. I’m tackling Angeles Crest 100 this weekend, and no doubt I’ll that there will be sections that “take them on with all we’ve got” will apply. Good stuff, Zach. Love reading about your adventures Zach! Every time I hear your name I marvel at the idea that you started from training on a cruise ship between races. Amazing to see how far you’ve gone now. I have a short 500m climb in 3.7km that I can push myself on, but uh, not at the end of that much running. That’s actually ALL the running on that trail. Recovering from a couple years of foolishness. Hope to be healthy and run the first ultra soon… Cheers man! I’m reading this article precisely during a trying time in my life. Thank you Zach for the inspiration to keep pushing. Run far, run free!